When hiking, I only carry the Luminoodle LED lights with my power bank. I leave the stuff sack, the universal ties and round plastic storage container behind to save on weight. Garbage bin liner ties work well if you’re looking for a light alternative way to hang from trees or branches. The lights are extremely powerful. While on a recent night hike, I used them around my backpack to light the trail in front of me. Since I take a lot of photos with the GoPro, the Luminoodle has also been a great addition for night photos and getting some special effects with the slow shutter mode. I still use my Luci Solar Light which I love using inside the tent and moving around camp. 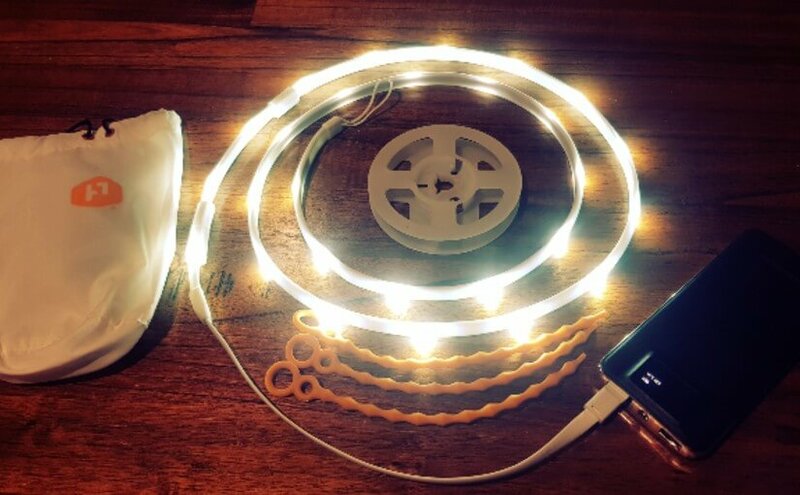 However, the Luminoodle adds so much more ambient light that it’s ideal for car camping, cooking meals or just having a chat with friends. 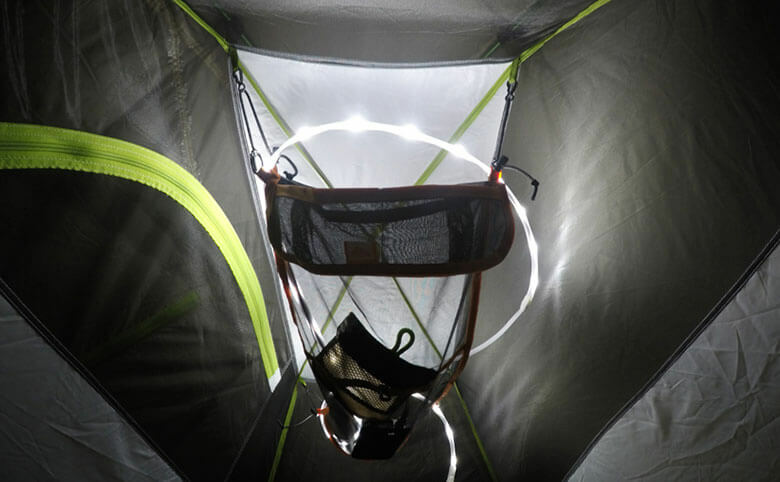 I’ll be using both lighting systems on my next overnight hike. I’m sure it will be the topic of conversation as I don’t recall seeing anyone else having these rope LEDs.